Change causes real fear for some people. It gives people ulcers, causes great anxiety, wakes people in the middle of the night, causes sleep apnea, and even causes people to get sick. There is actually a condition call metathesiophobia that is the fear of change. To people that take change with ease, this sounds crazy. However, it is a real condition that exists. People don’t like uncertainty in their life. They like to be in control of their life. This intense fear makes people want to do the same thing all the time with limited variation. When you are a leader and know that certain people fear of change, there are three actions you can take. First, you can leave them in the dark until the last possible moment and then tell them. This will catch people by surprise. It won’t give them much time to think about the change before it happens which can be good and bad at the same time. A second approach you could take would be to give vague hints that a change is coming without giving any time frame for when the change will happen. Tell people just enough so they know a change is coming, but they don’t know any of the details of the change. For those who fear change, this will really get them uptight and could cause panic attacks in their lives. The third action you can take is to tell people that a change is coming and give them all the details you know about the change. Tell them what their involvement will be in the change, what the difficulties will be during the change, and how you will handle those challenges together. With this approach, people tend to have less fear because they know that everything will be worked through and everyone is in it together. There are times when each approach is appropriate based on the situation. However, more often than not, the third approach tends to yield the best results. As the leader, you play a pivotal role in helping people accept and move forward on change. When you help people pick up something new, you need to have patience. Some people will pick up on everything very quickly while others will take time. As you help people, ask lots of questions to find out what their concerns are and what challenges they face. Be very specific in you questions. Follow up the questions with a thorough and specific explanation of the benefits that will come with the change. 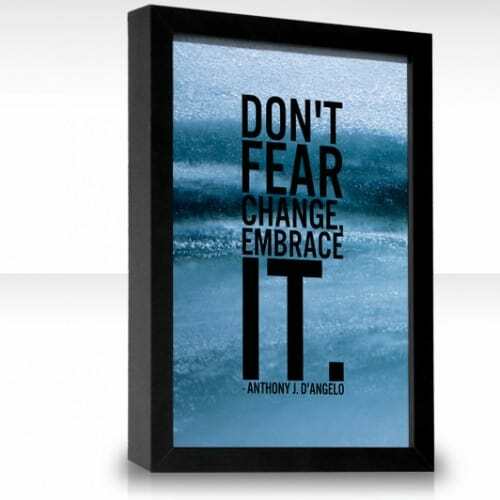 What have you feared about change in the past? How have you helped people overcome their fear in the past? Please share your thoughts in the comments section below!